PALAEOBLOG: What Killed The Dinosaurs? Now It Can Be Told! 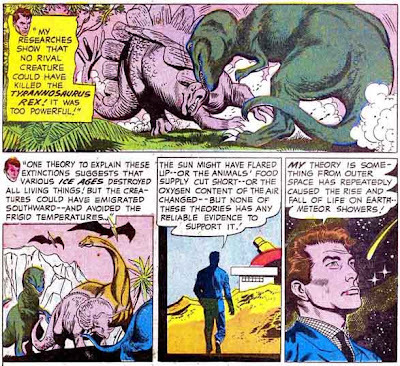 The good doctors over at the Atomic Surgery have uncovered the truth about the extinction of the dinosaurs (except birds of course! ), and why the Earth supports life. Read about their amazing discovery HERE!